The original ending of Bird Box in the book version is extremely dark and different from the film version. Disclaimer: Spoiler warning. Go watch the movie first if you haven't and come back again. 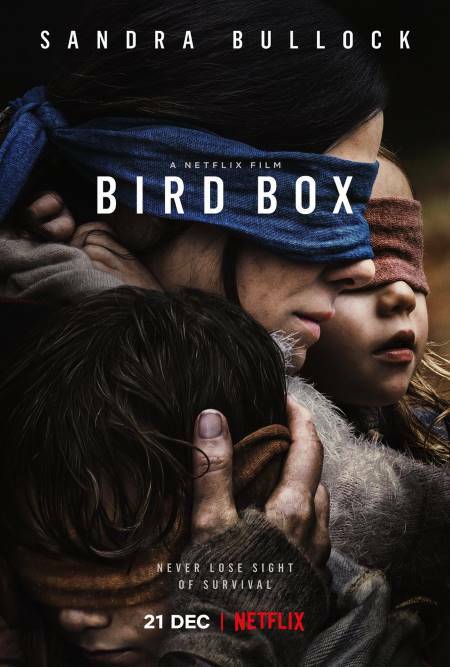 Over the past few weeks, Netflix's horror hit film Bird Box seized everyone's attention. Literally, the movie became everyone's obsession at a point thanks to its compelling storyline. 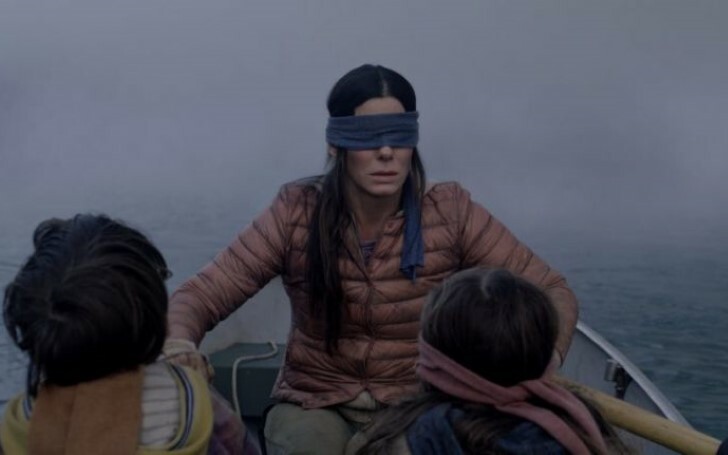 As a matter of fact, Netflix even had to warn the people following the trend of Bird Box Challenge, where they blindfolded themselves to perform certain tasks. The apocalyptic horror film starring Sandra Bullock in the lead role as Malorie, based on the book of the same name by Josh Malerman reveals a story of a mother struggling to survive with her two kids from an evil creature that makes people go suicidal as soon as you look at it. During the entire film, the characters avoid the creatures by blindfolding themselves. And if you were among those millions of audiences who watched the film, surely you all witnessed the ending of the story following Malorie successfully achieving refuge. Malorie eventually reaches the place, where she and the kids finally become safe from the evil, after traveling by a river for 48 hours. But, that's not what the author cites in his original story on the book version which is pretty dark, to say the least. As per Netflix and film director Susanne Bier, they deliberately made the ending this way to leave the audiences less wrecked. Bier mentioned in an interview, she optimistically wanted to make the ending more hopeful. In the Bird Box book, Malerman's ending is so dark that we are in fact glad the movie version didn't choose this conclusion. When Malorie and the two kids reach to the safe community, Malorie discovers that the blind people there actually gouged their eyes and blinded themselves in order to be safe from the creature. However, after realizing their pointless hazardous journey to the community, Malorie doesn't want herself and the kids to brutally do the same to their eyes. The three rather decides to stick with being blindfolded. Furthermore, as the movie successfully became a hit, it is speculated that there might be a sequel to it.